We can barely keep our excitement contained! We’ve got a new tasty dish that is sure to cover all those must haves of wholesome goodness, bursting with flavor, and ultra satisfying. 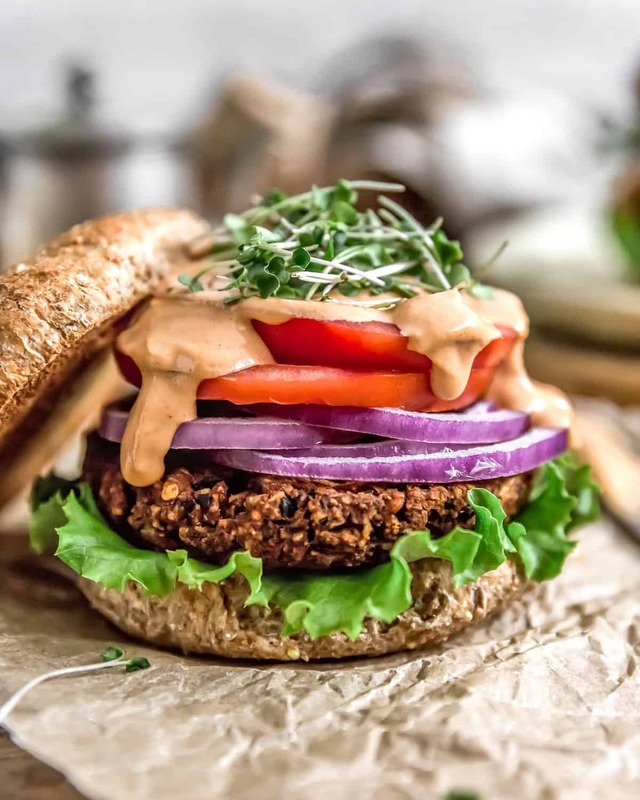 We just had to name it Ultimate Healthy Vegan Black Bean Burger with Special Burger Sauce. 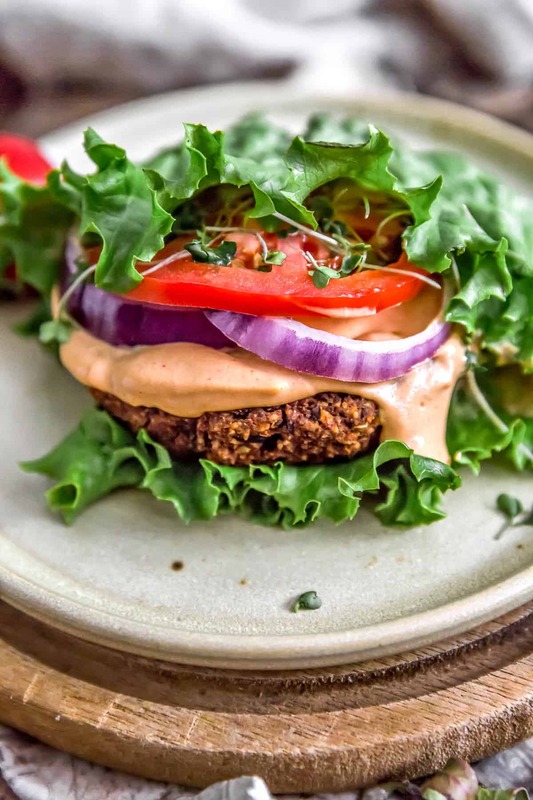 This tasty black bean burger has a deliciously satisfying texture with perfectly crunchy exterior and a tender but not mushy interior. Annnd the the pièce de résistance is the Special Burger Sauce, but let’s be honest, we put it on everything! 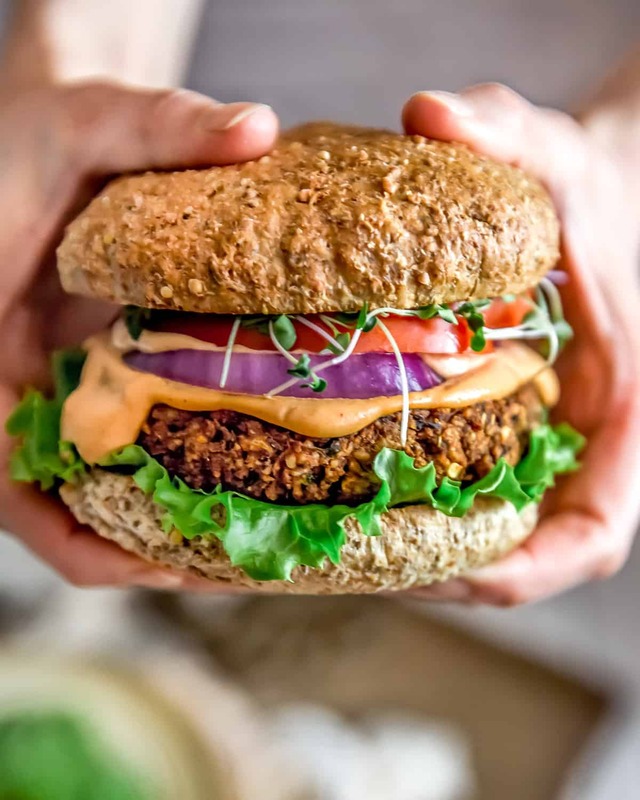 Raise your hand if you love veggie burgers! We sure do! 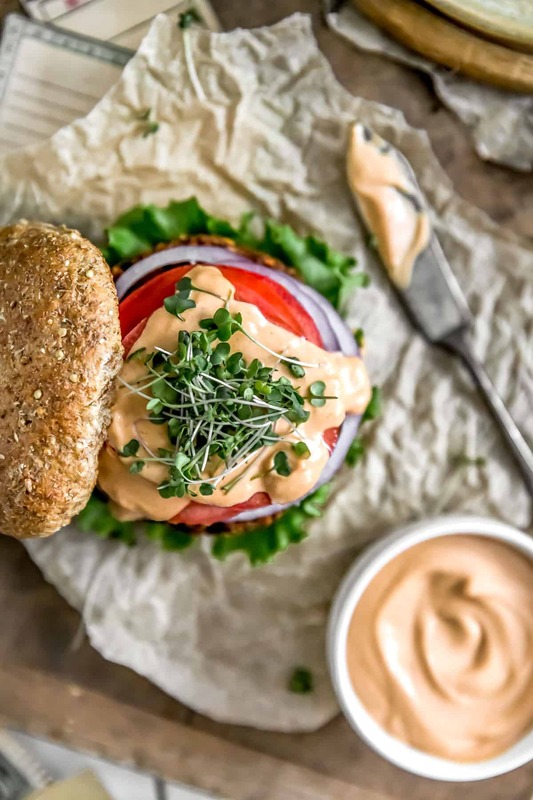 You just can’t beat a tasty burger slathered with a fantastic sauce, and this veggie burger really hits the spot! 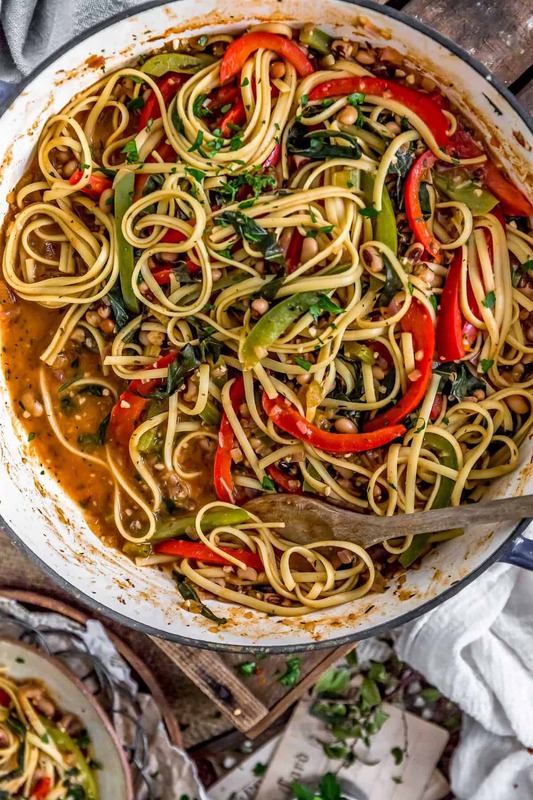 It is hearty, flavorful, and quite satisfying . . . plus, we’ve created an AH-MAZING sauce to go with it, but found ourselves literally putting it on everything! What to call this deliciousness! The hardest thing about this burger was trying to figure out what to call it. We are modest people by nature and naming anything “ultimate” is kind of outside of our comfort zone, but we just couldn’t help ourselves on this one. 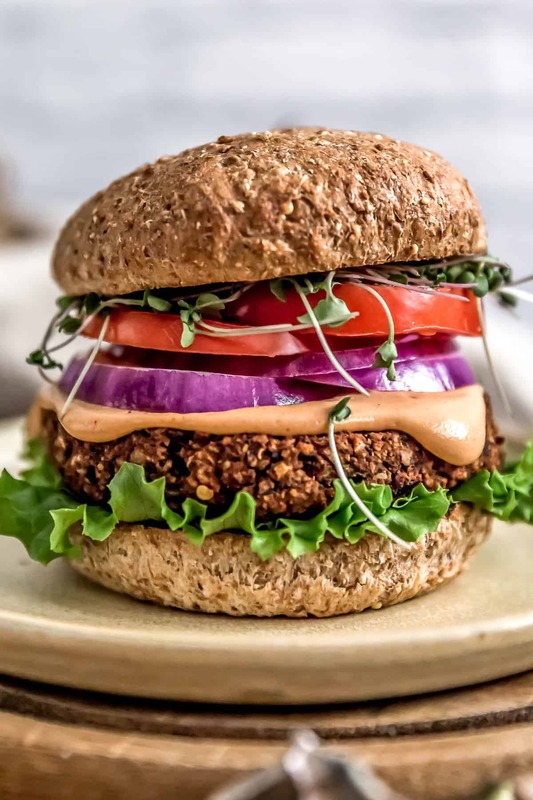 We have tasted a lot of black bean burgers in our day, and we thought it was the best one we ever had, so we thought we would live on the wild side (LOL) and call it “Ultimate Healthy Vegan Black Bean Burger” with the hope that no one would think we are being too bold. Mom and I love to create dishes for our Whole Food Plant Based community. It makes us SO happy! 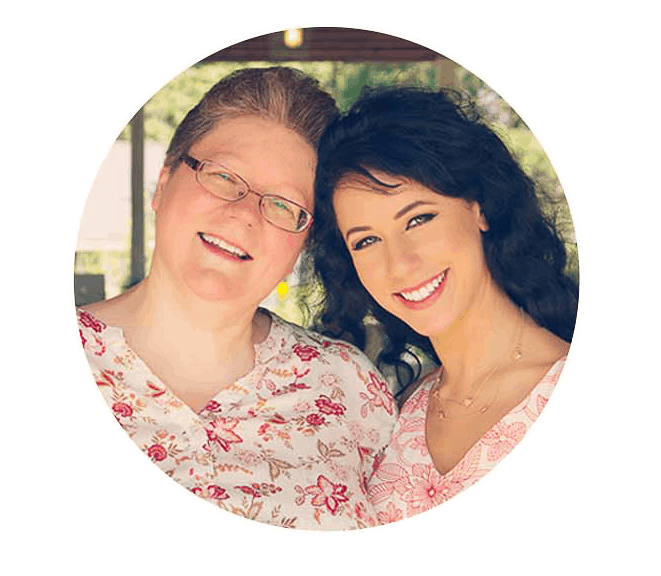 We enjoy helping others on their journey to living a healthier lifestyle by developing recipes that we are hoping our Readers enjoy. We also love connecting with our fellow WFPBers. While food blogging is the perfect “job” for introverts like me and Mom, (we use that term “job” loosely, because while it is a TON of work, there is little to no pay associated with it despite what everyone thinks), it does require one to kind-of put yourself out there to be judged. Which is hard and scary, but so worth it when you hear your recipes, resources, and information are being enjoyed/helpful. This burger is just so tasty! Annnnnd, don’t even get me started on the special sauce, we didn’t hold back – YUM! But we aren’t the only ones, the next day after making it, Dad was sitting at the table eating quinoa (he calls it “Ka-why-nye”) and I was like “Dad, what is that on your quinoa?” He responded, “Heck if I know, but it sure is tasty!” Upon closer inspection, I saw it was our newly minted special sauce. I was like “Dad, that is our special burger sauce!” He said “Well it tastes good on Ka-why-Nye too!” LOL Ok, then, good to know! I’ll let Mom tell you more about this yummy burger and tasty special sauce! 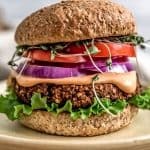 I love a great veggie burger! We think this one is pretty darned awesome, even if we do say so ourselves. Monkey pretty much said it all. We hope you give this burger and sauce a try and let us know if you think it is awesome too! Leave us a review! Post a picture on Facebook or Instagram and tag us! We would love to hear from you. Place the pecans into the food processor and pulse until you have a fine crumb mixture. Note: The ½ cup (packed) measurement is after the pecans have been processed. Place in the large bowl. (You do not need to clean the food processor in between steps). Next place the rinsed and drain black beans into the food processor and coarsely chop, then place into the large bowl with the pecans. Switch from the “S” blade in the food processor to the grater attachment (or hand grate using a box grater), grate 1 cup of zucchini (no need to peel). Place the grated zucchini into fine mesh strainer and push the water out of it. Then place the zucchini into a 1 cup measuring cup and press down hard several times, tilting the cup so the water drains out over the sink. Excess liquid will release from the grated zucchini and drain into the sink. Keep pressing until you measure ½ cup of grated zucchini, then add to the bowl. Next add all the remaining ingredients and spices into the bowl and mix well. This may take a minute or so to full incorporate all the ingredients, then the mixture should easily pull together into one large clump. Use the ½ measuring cup to measure out 4 burgers, then roll the burger mixture into 4 tightly compact balls, then shape the balls into flat burger disks measuring approx. 3 ½ to 4 inches in diameter, and place them onto the parchment lined baking sheet. Place into a preheated 350 F oven and bake for 20 minutes, then flip over and bake for an additional 15 minutes. Remove from the oven and allow to sit for 5 minutes to set up before serving. *Panko Bread Crumbs: We used Ian’s Gluten Free Panko crumbs for this recipe. If you do not need to be gluten free, feel free to use any panko bread crumbs of your choosing. 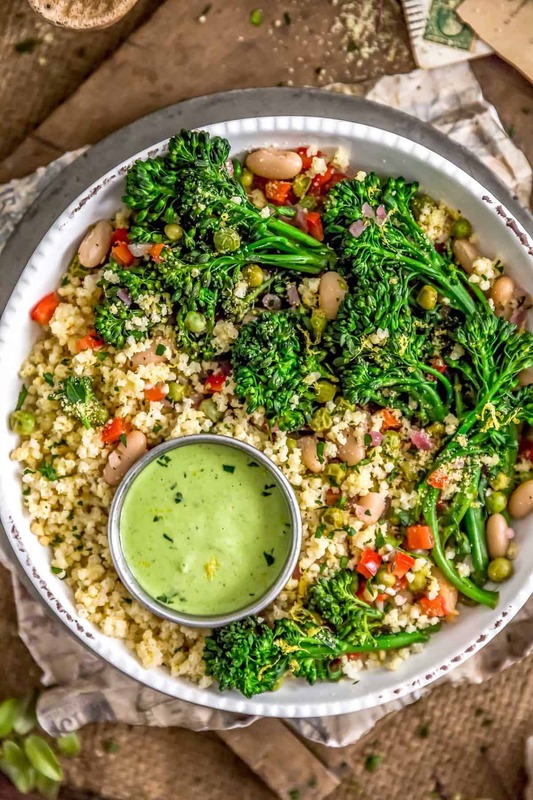 However, if you are looking for a 100% WFPB compliant gluten free bread crumbs, you will need to make them the day before you make this dish. 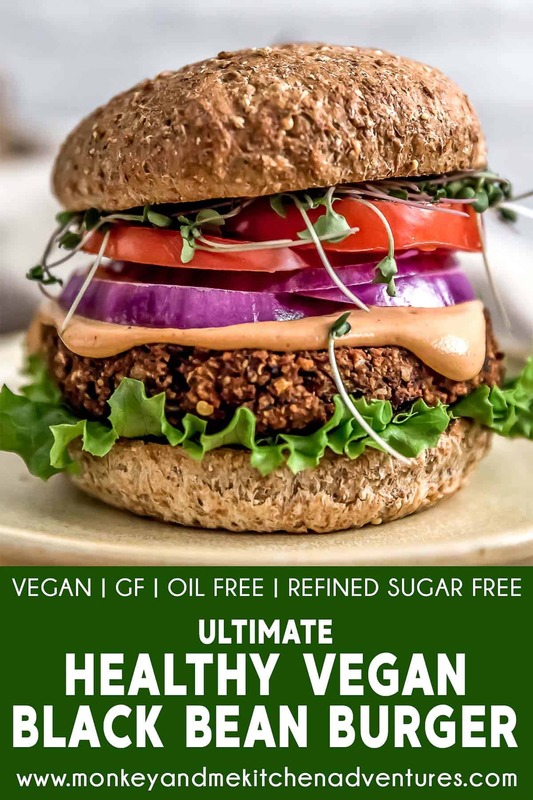 Food for Life Gluten Free Brown Rice English Muffins work perfectly for those who are Whole Food Plant Based and gluten free, as they are refined sugar free and oil free. If your diet does not restrict gluten, you can use any WFPB compliant Panko crumbs. For the Food for Life Gluten Free Brown Rice English Muffin conversion to bread crumbs – Tear one room temperature Gluten Free Brown Rice English Muffin into small pieces, then place them in the food processor and pulse until it is completely broken down like coarse breadcrumbs. This make take several minutes. Place the crumbs onto a cookie sheet, spread them out and let them dry out overnight, then process them in the food process again, then measure 1/2 cup for this recipe. 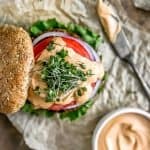 *Don’t forget to make the Special Burger Sauce, it adds so much delicious flavor! In the meantime, add all the remaining ingredients into a high-speed blender, set aside. After 20 minutes, discard the water from the cashews. Add the cashews into the high-speed blender with all the other ingredients, and blend on high until smooth and creamy. Wow, thank you sooo much for your heartfelt message. We truly appreciate your kind words about our blog. It means so much to us! We truly appreciate your feedback and have definitely taken it into consideration as we want everyone to have a wonderful experience including how our recipes are written and printed. 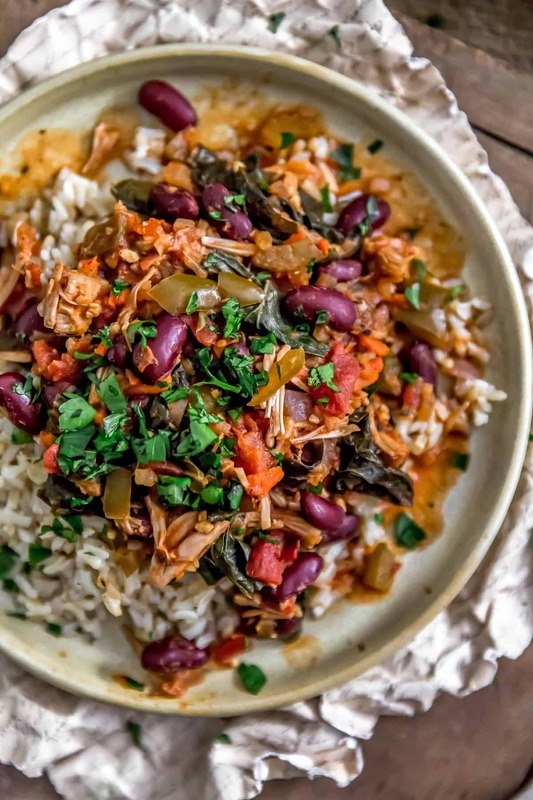 We are so excited that you’ll be trying this recipe, and we truly appreciate your wonderful support and encouragement! These were fantastic! Thank you. I LOVE LOVE LOVE your site. This is the 6th recipe I’ve made, and every last one has been great. WOO HOO! We are so thrilled that you enjoyed these burgers, and BEYOND excited that you love our site! It means so much to us to see such wonderful feedback! We truly appreciate you and your continued support! Love your recipes! What would you use in place of the nuts in these burgers? No nuts allowed here.